It arrived! Remember I said that I'd made use of an introductory offer available at Broadstairs Food Festival last weekend, and ordered a box of fresh, seasonal vegetables to be delivered to me at the flat? Well - yesterday a lovely lady appeared on my doorstep with just that: a wooden crate bursting with colourful, fresh-from-the-field veggies. I did say I'd share my thoughts once the box arrived. These boxes are put together and delivered by the guys at Nethergong Nurseries (the Jenkins family) based just outside of Canterbury. Nethergong work with 12 local farmers to put together boxes of produce, in keeping with what's in season, and distribute these to member households across East Kent, including those in the Canterbury area, Herne Bay and Whitstable, and down to us here on the Isle of Thanet. What I love, and what I should have expected, is that the vegetables arrive fresh from the farmer's fields, everything was still muddy, just as it should be, and you can really tell the difference in the taste. Last night I asked some friends for some inspiration as to what to do with my new cauliflower, and in the end I used my usual cauliflower cheese recipe, but added bacon and fried leeks, and baked in the oven topped with a layer of thinly sliced potato. The potatoes that I received from Nethergong were beautifully buttery and Earthy and unlike any starchy stodge that you'd pick up from the supermarket - absolutely delicious! Tonight I'm going to follow the recipe that was included with my box of veg, to roast the Onion Squash (it's a squash I've never cooked with before). This box that I received from Nethergong Nurseries is their "Baby Box", designed to cater for one person. Now, I am indeed one person, but I do have an extra small person to feed and every so often the boyfriend will be here for dinner too. I've decided to subscribe to a weekly box for a little while, and see how it goes, but I'm going to up my order to a "Mini Box", designed to feed a family of 2-3. 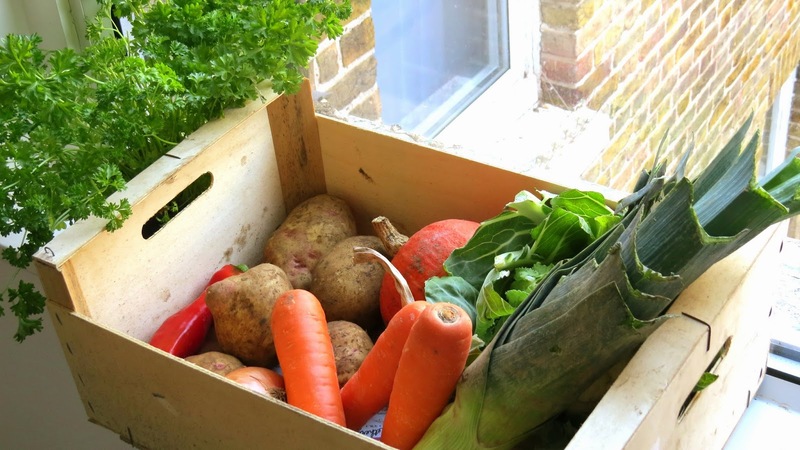 If you're in East Kent and would like to try out a fresh vegetable box delivery from Nethergong then you can sign up here.